When I was 12 I came across the weirdest time signature in my life: instead of a single number on top of another single number, it was 2+2+2+3 over 8. And I thought to myself, “Who on earth would write a piece with such a time signature?! !” But true enough, in the volume of the book that the piece was in, other pieces did indeed have time signatures that were just as funny-looking. In the second year of college we had a listening examination, and there was a particular concerto which sounded very different from the rest. The movements had made use of various folk tunes, and I remembered one melody in particular that was called a “Dalmatian melody” which made use of polymodal chromaticism, because I had related the term ‘dalmatian’ to the dog breed! (Now you know how I study..) This concerto also has one movement in which a lovely night song is very obnoxiously interrupted by a big brass band, complete with trombone glissando blasts and crashing cymbals! 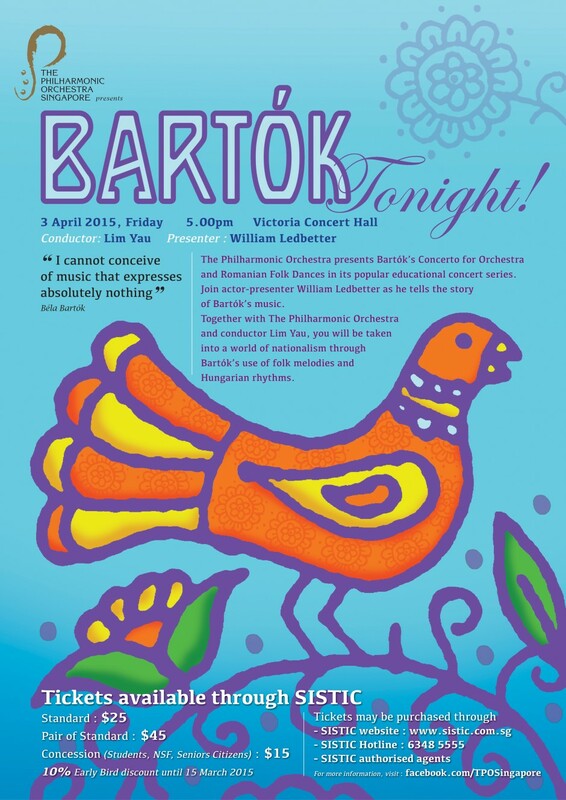 The composer of those works is none other than Béla Bartók, possibly one of the first ethnomusicologists, whose works were filled with folk melodies and Hungarian rhythms (now THAT explains the weird time signature!). He once said that he could not compose music that expressed absolutely nothing, and his music is proof of that: always interesting and peppered with many surprises along the way. He had used folk melodies and rhythms, combining them with his own unique harmonies, to result in a fascinating blend of wit and character. Previous postA tribute to three great men..